For years now, I've been fascinated by the idea of owning farmland. In my opinion, farmland is a mixture of all the best things real estate has to offer. With farmland, I can generate income that is truly passive. Because of the stable, predictable, hands-off nature of farmland, this stream of income isn't going to disappear on me, and it won't surprise me with HUGE, sporadic expenses like a rental property will. Regardless of whether I decide to get out of bed in the morning, the property will behave itself. As long as the property is occupied by a good, reliable tenant, the money will keep coming in. Even within the niche of land investing, most of us think of “passive income” in terms of seller financing – when we sell a property on terms and then collect the buyer's payments over the course of many months. This generates a recurring source of income that doesn't last forever, but it does last for many months into the future. It's not uncommon for borrowers to default on their payments (even though this is an overcome-able problem, I still find it very annoying). Even when borrowers do pay as agreed, this stream of income will eventually stop when the property is paid off. It's great while it lasts, but it never lasts forever. For the life of a loan, somebody has to service the note, collect payments, send out occasional reminders and notices to stay in communication with the borrower. Of course, all of these things can be dealt with (and if you're serious about creating this kind of income, it's totally worth the trouble), but farmland offers a very different kind of passive income. Note: REtipster has an affiliate relationship with International Coffee Farms. If you click through our affiliate link, sign up and invest your money, the REtipster Blog will earn a small commission at no extra cost to you. Please do not invest your money unless you feel it will help you achieve your goals. When you own a good, high yield piece of farmland – it's always going to be in demand, and it will generate a solid income for as long as you decide to keep it. Assuming there are no catastrophic events that affect the global climate and/or the stability of the government, this stream of revenue isn't going anywhere. Of all the buy-and-hold types of real estate I've studied over the years, farmland is hands down the best one I've found. 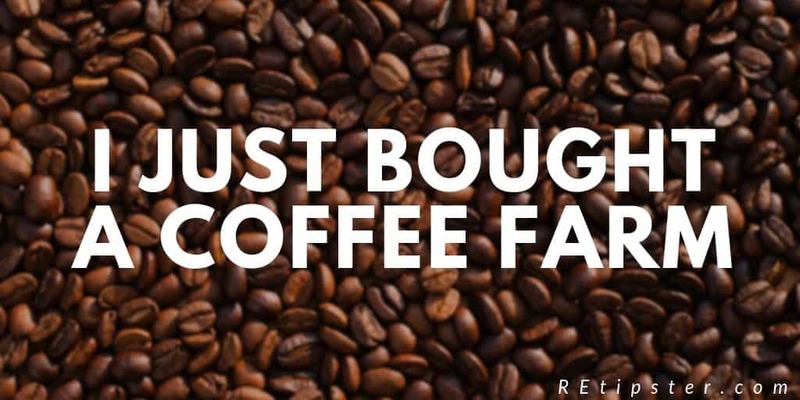 Given my interest in farmland, I was intrigued when my friend Keith Weinhold told me about a company called International Coffee Farms he was investing with. An investor can purchase a half acre parcel of land for $18,900 ($18,000 for the land purchase and $900 for the transfer taxes). 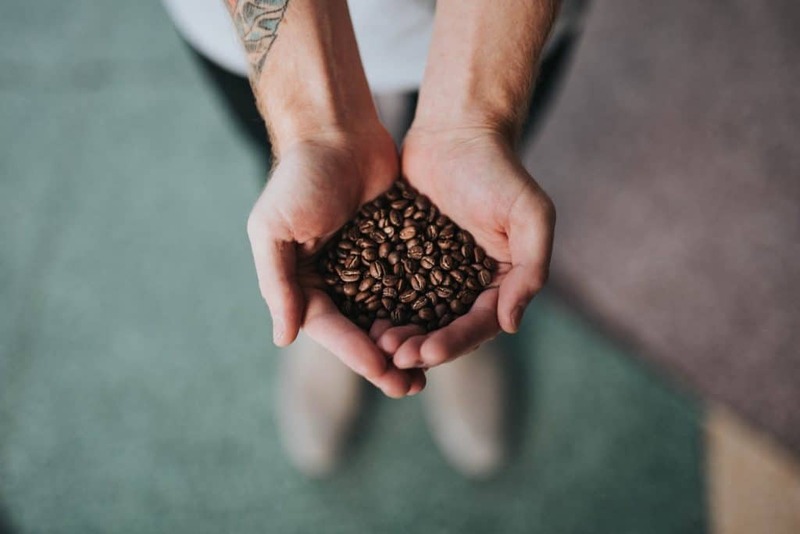 The company (ICFC) acquires underperforming suitable raw land and existing coffee farms in Panama that can be planted or “turned around” to become very productive, Specialty Coffee farms. Specialty Coffee is not to be confused with commodity coffee. 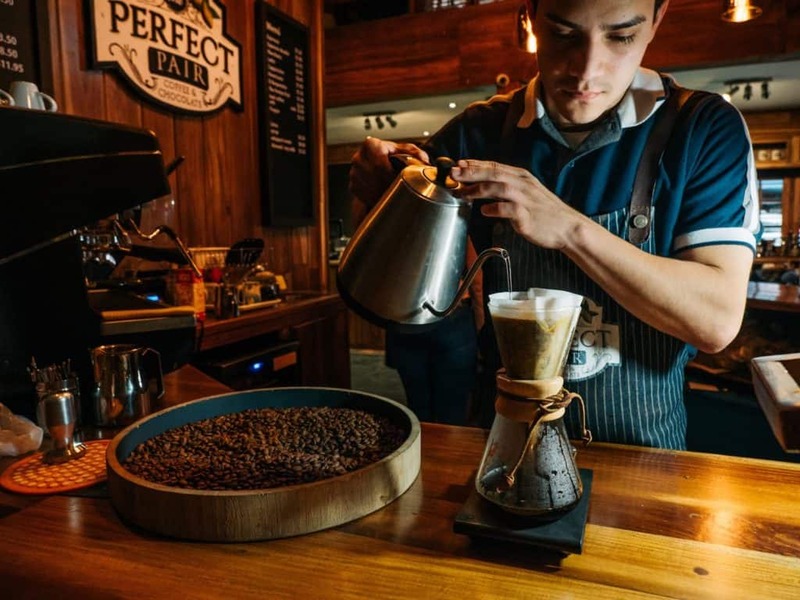 Specialty coffee fetches a premium price that is much higher (which translates into much higher profit margins). Once the property is deeded to you in your own name (or entity), ICFC provides turnkey management, so it creates a truly passive source of income for decades into the future. The average annual return is projected at 12%. Cash flow typically begins 3 years after you invest your money, and the returns are paid annually. Aside from the solid, long-term prospective income that can come from this kind of investment, it also provides a good, honest career for the local farmers and their families in Boquete, Panama. They get paid living wages that include education, medical, pension, and accommodation benefits. If you care at all about investing in socially and environmentally sustainable projects that actually help people and improve the world (i.e. – things that give real estate investors and capitalism a good name), this is something you'll probably be interested in. So how exactly does an investor make their money from this kind of investment? When the coffee farm generates revenue, the first 20% goes to pay the coffee farmers and all related expenses of running the farm operation (wages, seedlings, equipment, etc). The next 16% portion goes to pay the administrative expenses of running ICFC. After those upfront operating expenses are covered, the remaining 64% gets paid back to the investors. All the Panamanian taxes are paid prior to you receiving this money, so you don't have to worry about paying any portion of your distribution to the Panama government (however, you will have to report this income on your federal tax return). How Does This Compare to Other Real Estate Investments? When I look at what this opportunity offers vs. a normal rental property – I think there are some areas where it's WAY better, and a few aspects of it aren't quite as ideal. Aside from the upfront investment, owning a coffee farm requires literally nothing from me. I just sit there and get paid each year, for as long as I own the property and the farming operation produces income. There are literally no expenses to pay (no maintenance, no upkeep, no property taxes, no mortgage payments – zero). Any ongoing costs are covered by the revenue generated by the farming operation. This investment is not tied to the US real estate market or economy. 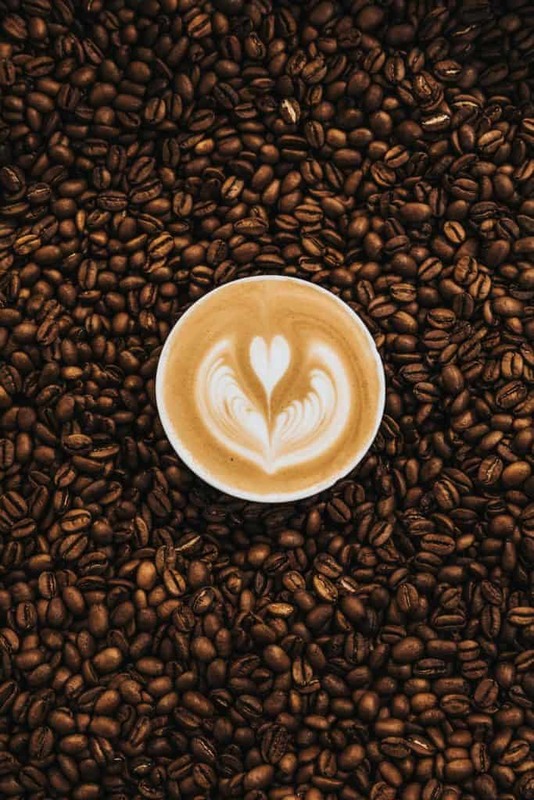 Even if the US economy takes a nosedive tomorrow, there will most likely continue to be constant, ongoing demand for coffee around the world, which makes it easier to forecast the supply and demand for decades into the future. The property is titled in my name. This isn't part of some REIT, I literally own it. I can also benefit from the appreciation of the farmland (though in my mind, this is more of a side benefit. I wouldn't buy this kind of property solely because of the appreciation I hope to gain, because appreciation may or may not happen). In my situation, I chose to title my properties in the name of my self-directed Roth IRA, which means all of my income will be tax-free (which is kind of a big deal). There is no financing available. I can't use a bank for this. I have to put up 100% of the cash to buy each parcel. Since there are no practical ways to leverage other people's money, it makes this kind of investment a bit harder to get into (and it also means my cash on cash return will be much lower than if I were to borrow most of the money to buy a rental property… which would only require 20% – 25% down, rather than 100%). There is virtually no cash flow for the first 2 – 3 years. I won't see the money until the coffee trees are planted and have a chance to mature. However, when they finally do start to produce, the rewards are projected to be substantial for years to come. This kind of investment is a long-term play. If I was more concerned about immediate returns, this wouldn't be the right investment for me. I don't control what happens on the property day-to-day or how well it's farmed or managed. I'm trusting ICFC to do the job well. There is no quick exit strategy. I'm in this for the long haul. Investing in this kind of turnkey farming operation is actually very different from buying traditional, tillable farmland and leasing it out to a farmer. With the International Coffee Farms opportunity, the money I'm making comes from the coffee beans that are harvested and sold (not from a lease payment from a farmer). Ultimately, I think this offers stability and longevity because the specialty coffee market is truly global. 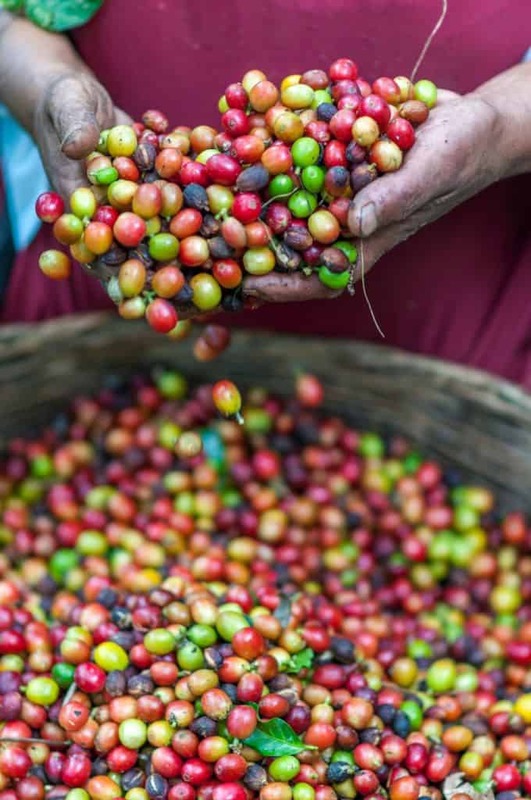 One of the cool “novelties” of investing with ICFC is that if you ever want to visit your property and drink the specialty coffee that was grown on your land, you can! International Coffee Farms hosts periodic visits where investors can come and visit their properties – just for the fun of it. I don't have any immediate plans to fly down to Panama, but I'd LOVE to make this happen sometime in the next year or two (and if I do, you can be sure I'll put together another video and blog post documenting the experience). Seriously… if you want to get notified when I plan my first trip to Panama, submit your email address here and I'll let you know when we go! To this point, I've only explored the coffee farm opportunity, but the parent company of ICFC (AgroNosotros) also offers some similar investments where you can buy farmland parcels in Belize, which are used as Cacao farms (where chocolate comes from). These properties cost a bit more (around $25K) to get into, but the payback happens at a similar percentage, and at a similar timeframe… so it's not a bad way to diversify if you decide to get into this kind of investing opportunity. I'll keep you posted on how it goes! In the meantime, if you have any interest in investing in either the coffee business or the cacao business, let me know how it goes! What is Land Banking and Why Should You Be Doing It? Hi Seth – Great article, thanks! I read that in the past if you made investments in Panama, such as buying timberland, you could get a visa, or perhaps qualify to become a citizen. It would be interesting to find out if that program still exists, and buying a number of half-acre coffee plots would be a qualifying investment for citizenship. Interesting! This is the first Panamanian investment opportunity I’ve ever even considered – I wasn’t aware of the timberland thing. Good to know, thanks for sharing! I heard these guys originally on The Real Estate Guys Radio Show but decided not to take action at that point. This article, however, has convinced me that I at least need to have a conversation with them. Nice write up! Thanks for reading JT! Glad it was helpful and informative. 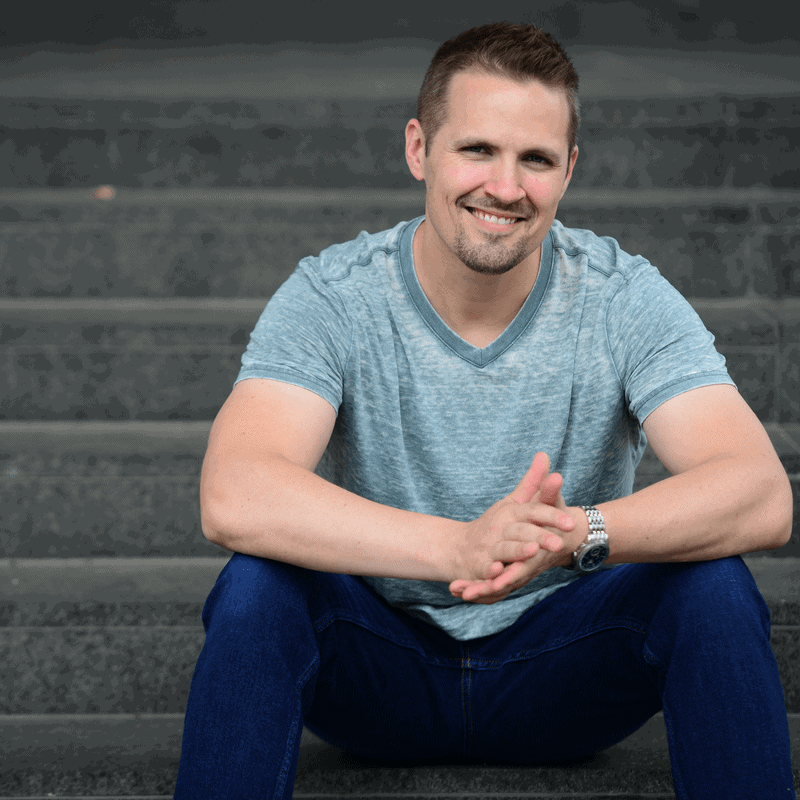 Seth, another great article–thank you! Will income from this investment be subject to UBIT (unrelated business income tax) if held in an IRA? Hola from Panama! I an new to this group, but not new to Panama, having been an American expat here for 12 years. This my first post so hope it helps. I personally am selling a beach condo which is in a mixed condo association where some condos are strictly for small investment purposes, others are rented when owners are not using for vacations, and some, like ours, are used for full time living. There is a large retirement community here and the pensionado visa is popular in this area of wonderful weather and discounts for the pensionado. Property purchases may qualify for certain visas in a couple of ways. Consult with licensed professionals because the questions already asked here can be answered. Being American, married to an American makes me unable to be licensed as attorney or broker. There are methods of working in Panamá under licensed individuals with a work permit. Thanks for sharing your experience, Deborah! I’ve evaluated several similar opportunities since 2015 but some things have never clicked into place. What can you realistically do with a deed to a half acre in the middle of someone else’s farm? Can you get an easement in Panama? Could you hire other farmers directly? This is used as a big selling point to folks like us who appreciate owning real assets, but it seems like it doesn’t actually make a real difference besides the feel-good aspect. Who sets the terms regarding to whom I can sell the property and at what price? While I’m definitely a long-term investor, the ability to exit is your ultimate risk-management strategy. Some of these plans have a “we’ll buy it back from you in 10 years guaranteed” but they rarely state the price on this offer, or its not a firm offer. Yeah, I hear what you’re saying Cody. I think your questions are all pretty valid. I thought through some of this stuff for a while as well… because you’re right, I think the viability of this kind of investment really does depend on how well the farming operation does (if they don’t do what they say, the projection kind of fall apart). ICFC does have the first right of refusal to buy the property (and they probably would, in order to keep all the parcels together and in operation), and if there are others who are still looking for this kind of investment opportunity, I would imagine you could sell out for the same price you put into it (again, not sure on these details – so it’s worth your while to verify with them)… but if the organization ever fell apart, I think you’d probably be free to sell to whomever you want (and for however much you want) at that point. Seth, not sure when this article was written but do you have an update on your parcel? Still in line with their projections? Hi Isaac – it was posted in late 2018 (so, still less than a year into the projections). It’s not project to start generating anything for the first 3 years, so it’ll be a while yet before I see any real movement – but you can be sure I’ll post something on the blog when I do!